Closing The Gate, winner of the 2013 Silver Medal Biography award in the Global Ebooks Competition On March 26, 1997 Rancho Santa Fe, California, thirty-nine men and women were found dead in a large rented mansion, the apparent victims of self-induced drugs and alcohol. The twenty-one women and eighteen men, ranging in age from twenty-six to seventy-two years were members of the Heaven’s Gate cult. This is believed to be the largest mass suicide ever to take place on US soil. _____________________________________________ The first question most ask is ‘Why did they do this?’ But the answer is as difficult to understand as the act itself. From their own accounts, they believed that ‘killing their bodies would free their souls, and allow them to reach the Next Level of Human Consciousness. The members believed that a UFO was following the Haley-Bopp Comet and would be their guide. As the comet neared the Earth, the members carried out their deaths, as agreed and planned. They cut their hair in similar short styles, dressed in matching new purple garments and Nike ™ athletic shoes, ate identical last meals, and methodically ended their lives. Each had written or video-taped messages for the families and world they left behind, explaining that this departure was their choice, and was to be celebrated, not mourned. 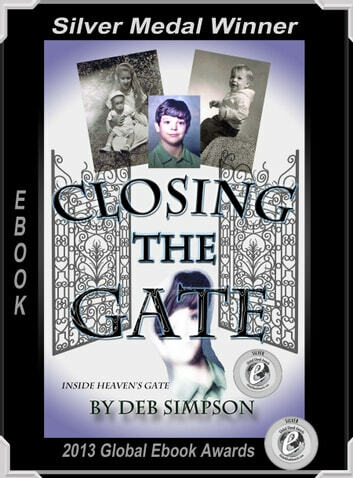 The group, now known as Heavens Gate, had been in existence for more than 20 years, under various names, including: The Two, Human Individual Metamorphosis (HIM), Total Overcomers Anonymous, Total Renunciants in Readiness for the Kingdom of Heaven, and The UFO Cult. To most of us, the group was completely unknown, by any name, until their death. In the months that followed the mass suicide, many articles were written about the thirty-nine individuals, their common beliefs and practices, their families, and their lives before joining the cult. However, there were other deaths related to this cult, others who believed as they had, and reached beyond life, toward the Next Level. Some were reported in the news media, some were not. James Edward Pirkey Jr, called “Gabody” by his cult family, was one of the former members whose death trailed the mass suicide. He was thirty-six years old and living in a small apartment in Atlanta, Georgia, when he followed the “precious spirits” to the Next Level. I am his sister, and this is his story-told from his letters and my memories.